Have a question for Gum Leaves Hotel? Well-positioned in Subic Bay, Gum Leaves Hotel is the ideal point of departure for your excursions in Subic (Zambales). From here, guests can enjoy easy access to all that the lively city has to offer. This modern hotel is in the vicinity of popular city attractions such as Mt Carmel Clinic And Emergency Center, Our Lady Of Lourdes International Medical Center, Sta Veronica Hospital. Gum Leaves Hotel offers impeccable service and all the essential amenities to invigorate travelers. A selection of top-class facilities such as Wi-Fi in public areas, car park, room service, restaurant, bar can be enjoyed at the hotel. Experience high quality room facilities during your stay here. Some rooms include towels, air conditioning, desk, mini bar, balcony/terrace, provided to help guests recharge after a long day. The hotel offers many unique recreational opportunities such as outdoor pool. Gum Leaves Hotel is a smart choice for travelers to Subic (Zambales), offering a relaxed and hassle-free stay every time. Arrived late in the evening to be showed two rooms on the ground floor behind the nightclub. These were dirty and did not look safe and I was concerned that drunks from the club would try to enter. Upgraded to two other rooms at an additional cost which at best were basic . Rooms felt a bit like a cell with no windows and air conditioning that could wake the dead! small room, very simple. Tiny shower. This is basically a room above a bar, but has separate key-controlled entrance. The swimming pool was green and is unusable. I was told the roof leaks when it rains and the pool and outdoor restaurant get flooded out. 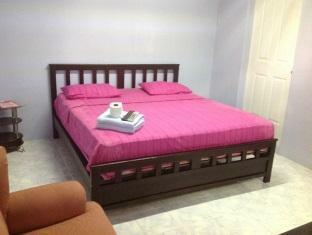 The room is small but clean and the aircon is noisy but the bed is very nice. good for budget traveller. we had booked this hotel for 4 nights...and left before the first night was over. their standard air-conditioned room was tiny,dirty,noisy and best of all, it was crawling with large cockroaches! the "beach" this place was on was littered with trash of all sorts and smelled like a sewer. no excuse for it, you can go 100 yards down the same beach and the other resorts. this was our first trip to subic and had no idea, so we fell for their slick advertising, which bears no resemblance to the real thing. especially their "pool"...i wouldn't get in that if i had to. if you don't mind what i have described, then this is your place...it's not ours. Excellent stay at this hotel. Good food and good service. Rooms are clean, and comfortable. Location is good. Centrally located. Transportation easy to find. Close to night life and bars and clubs. trikes are readily available. Speedy check in. Will come again. Lively, close to the beach and shops. Basically I didn't expect to be staying somewhere that has a brothel on site!!! Check-in was quick. The hotel is old and shows it. I paid for a cheap room and that is what I got. Air conditioning was not good. A fan would have been better. The room was very small and the shower had no pressure at all. I cannot say that other rooms were the same but I would not recommend staying in the cheapest rooms. I couldn't wait to leave. On the other hand, the location is very good for everything in Barrio Barretto. this is not a hostel, it is kind of bar, and they run stripper business as also. the music noisy in the night that you can`t sleep at all. the room is smelly, and the pictures on website are totally cheaters. trust me,there is another hotel called suzuki is much better. I have gone all over Subicbay and this is the best deal on the beach. Is this a 5star hotel, No. but it's clean and that's a lot better than some of the other hotels. On the main strip, easy access for all the bars, intersting late at night. I was satisfied but no really a family hotel, it can get a bit noisy. Emu tavern is located on the main street with a bar attached which explains the availability of a 2 hour short time rate for 360 peso. It also has a pool and the beach can be accessed from the rear. It's very basic but has flat panal tv shower and a comfortable bed. It's good value and seems to be quite popular , most rooms were occupied while I was there.